Of all the viruses known to us in the modern world, none other has as terrifying a reputation as HIV. According to amfAR, there are more than 34 million people all over the world who live with HIV/AIDS, and in year 2011 alone 1.7 million died from it. A pandemic like that is particularly disheartening when virtually everybody knows — there is no cure. With current antiretroviral drug cocktails there is therapy that can make one’s life with the disease manageable and makes HIV no longer the death sentence it was in 1980s when first discovered. However, just a couple of years ago Nature reported that the virus can’t be cured. In light of this state of affairs, it is not surprising that the recent news about two separate cases of apparent HIV cure have taken the science news world by a storm. At first, we had a baby in Mississippi who was born to an HIV positive mother and had to be put on aggressive antiretrovirals 30 hours after birth. Two years later, and there are no detectable traces of the virus in the infant’s body. Just a couple weeks later there was another bit of HIV-related good news. This time, 14 adults in France have been “functionally cured”, which means the virus has gone into remission — dropped to extremely low levels and is managed by the person’s immune system without taking any drugs. These patients all started the antiretroviral therapy only a few months after infection. While everyone acknowledges that it’s too early to bust open the champagne and declare a cure of the pandemic, these latest breakthroughs are definitely a source of useful information to scientists. There are still a lot of unanswered questions about these surprising remissions, but the cases do hint towards a therapy approach that may help a lot of people whose infection has been caught early. These events also remind us something about the nature of science. Firstly, it works. It remains the best tool we have to understand the natural world, because it’s methodical, thorough and well tested over the history of its use. Science delivers peer-reviewed, replicable and useful results. However, science is also messy, and often slow when it comes to reaching breakthroughs. 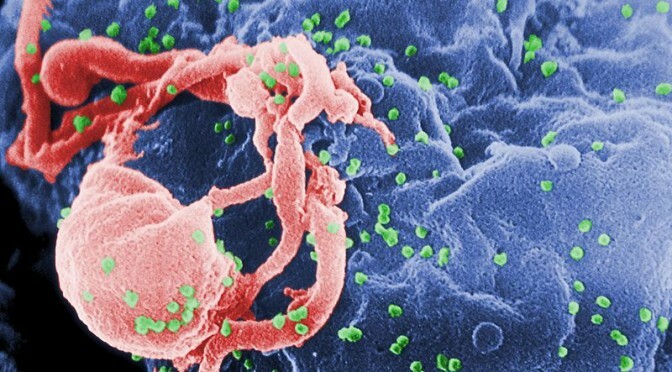 Heck, it took scientists several years just to figure out the relationship between a mysterious disease now known as AIDS and an even more mysterious virus now known as HIV. And they are still not 100% where exactly it came from in the first place. However, once such knowledge is reached and scientific consensus established, the whole process can move on and find more and more pieces of the puzzle, until the picture is clear and the questions are answered. Scientists don’t give up. When it comes to medicine, our best bet is and always will be science. We may not yet have a vaccine for HIV or a cure for cancer, but we are getting there, slow and steady. And I think the scientific journey is much more exciting than any miracle cure from a crackpot snake oil dealer you could find.